The purpose of this web site is to provide general information about the law firm of Marnen, Mioduszewski, Bordonaro, Wagner, & Sinnott, LLC and the nature of our practice. The information contained in, or linked to, this site is not, nor is it intended to be, legal advice. 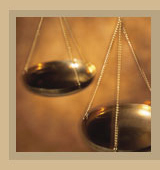 You should contact a qualified attorney regarding your specific legal issue. Please feel free to contact our firm by telephone, email, or fax, but be aware that such communication is not to be construed as an attorney-client relationship unless you request that we represent you and we agree to such representation. We respectfully request that you avoid divulging specific details regarding any legal problem or reveal confidential information via the Internet or fax until an attorney-client relationship has been established. The attorneys at Marnen, Mioduszewski, Bordonaro, Wagner, & Sinnott, LLC are not licensed to practice law in any state other than the Commonwealth of Pennsylvania. Any services referred to in this web site are only available in Pennsylvania and nothing contained in this web site is to be interpreted as an offer of services of any nature outside the Commonwealth of Pennsylvania. You may not modify, copy, distribute, or incorporate into any other work all or part of this site or its contents in any form except that you may reproduce copyrighted materials on this site for your own personal use and for non-commercial distribution. All copies must include this copyright notice.